The year 2019 is finally here, and for many, it represents a lot of opportunities especially for anyone looking to invest. There are many investment opportunities in Singapore, but heavy competition makes it rather difficult to get consistent returns. Investors, therefore, have to consider where they are most likely to earn decent returns and Endowment plans have been gaining more traction due to their low risk. An endowment plan is a long-term insurance policy used as a savings plan that helps the investor acquire wealth over a specified duration of time such as ten years or more. 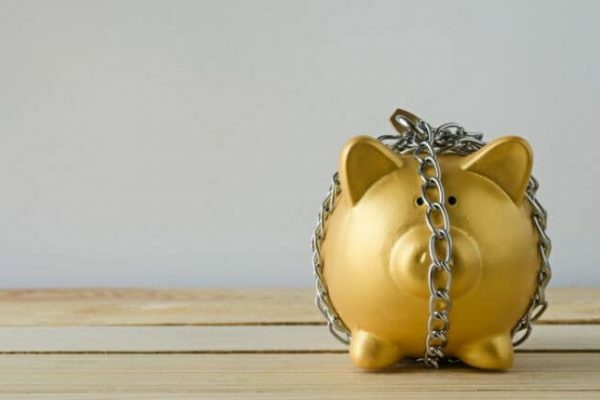 Endowment plans are becoming more popular in Singapore because they are characterized by higher returns compared the long-term savings interest offered by banks. One of the reasons or the growing interest is that endowment plans offer some guaranteed returns unlike traditional investments such as deposits or stocks. They also require premium payments to be made throughout the investment lifespan. The premiums are usually fixed although investors have the option of lowering or increasing their premiums. Premium payments can be made either monthly, quarterly or after every six months and even on an annual basis. Endowment plans to behave like insurance policies due to the premium payments, and they also behave like mandatory savings. They are described as investment vehicles. Before getting to the ones that are probably going to be the best in 2019, it is important to understand the five different types of endowment plans in Singapore. Single premium- They are characterized by just one lump sum amount that is paid upfront. Education plans- these are endowment plans that allow investors to save up money for their children’s education. Regular premium- they offer a savings plan where the investor contributes a regular premium depending on the stipulated duration whether monthly, quarterly or annually. Cashback- Just as the name suggests, these are plans where the investor may receive some cash back after some time but may opt to reinvest it. Retirement- This is an endowment plan that you can take up to prepare for retirement. You may opt to receive regular payouts or let the interest accumulate so that you can receive a lump sum once you retire. You may also opt to receive regular payouts after retirement. Below are some of the most promising endowment plans for this year. This is a regular pay savings endowment plan that is 100% guaranteed. It will likely be a hit in 2019 because it offers flexibility even for investors on a tight budget. As far as flexibility is concerned, this particular endowment plan allows users to choose from a five-year to a 25-year investment period. It also allows investors to pay premiums daily at amounts as low as $1.56. Aviva MySavingsPlan is also easy to enter because it does not ask any health questions while at the same time insuring the client against accidental death and terminal illness. Those subscribed to this endowment plan are guaranteed 100% of their capital upon maturity. The only drawback is that it does not allow a cash withdrawal option before maturity. This is a cashback endowment savings plan that offers a flexible policy term ranging from 13, 15 and 20 years. It also has a premium policy term that runs for 10, 15a and 20 years. The Manulife ReadyPayout Plus is available to anyone since no health questions are asked and it also offers protection against terminal illness and death. This particular savings plan allows investors to withdraw interest from the end of their first policy year and onwards. The downside is that Manulife ReadyPayout Plus does not offer 100% capital guarantee. This refers to an insurance policy that offers a flexible policy term whose duration ranges from 10 to 40 years. The Great Eastern Flexi Endowment allows the insured to decide whether to fund their savings plan for a five-year duration, ten years or to go full term. This policy plan also insures against permanent disability, terminal illnesses, and death. The policy plan is quite flexible, and it offers a 5% discount to those that pay the 5-year premium in a one-time lump sum. The downsides include the lack of a cash withdrawal option before the expiry of the policy term and the lack of a 100% capital guarantee. This is an education insurance plan that helps policyholders to secure their children’s education. This is one of the numerous education-focused endowment plans that have been predicted to be the best endowment plans in 2019. The cost of education in Singapore has been rising, forcing the country’s residents to start considering investing so that they can fund their children’s education. Aviva MyEduPlan offers 100% capital guarantee and facilitates multiple payouts before the savings plan reaches full term. Its premium payment term is also limited to 10 years. The premium holder also gets to choose whether to pay the premiums on a monthly, quarterly, twice a year or even once a year. Aviva MyEduPlan can be acquired through an easy and stress-free process. It also accommodates additional riders that facilitate continued education in case something unfortunate happens to the policyholder. The disadvantage is that the Aviva MyEduPlan does not offer any guarantee on the bonus. This is yet another endowment plan that offers an affordable avenue that policyholders can use to save for their children’s education. The OCBC MaxEdu endowment plan offers a 100% capital guarantee and even offers a bonus which can boost the policy holder’s balance significantly. It also offers multiple payouts through Fixed Cash Benefits paid out after the policy reaches maturity. The policyholders receive the payouts when their children reach 18 or 20 years old. The payouts are supposed to help the policyholder to pay for their child’s 3 or 4-year university course. The policy is easy to subscribe to, and it provides additional protection against terminal illnesses, permanent disability, and death. The downside is that it does not offer a guarantee on bonus. The above are just some of the endowment plans that will likely be the best in 2019 although there are many other endowment plans available. Neha Gupta has been in the financial space for over six years now. Gupta earned her MBA degree from Symbiosis Centre of Distance Learning in 2009 and her passion for finance led her to pursue Chartered Financial Analyst (CFA) course. She has successfully completed Level II of her CFA. She is a veteran in article writing, which is depicted in her numerous pieces published on SeekingAlpha, Nextiphonenews, InsiderMonkey, MarketWatch, and Techinsider. Her crisp and eloquent writing finds its best place in Researchcows, where emphasis is given on developing rich content for various websites, products, business plans, trainings, and book writing.